Diamond Flooring was established in 1989 by Denver & Joanna Thornton from fairly small beginnings, working from their home in Bolton. The original driving force behind the infancy of the company was the imminent arrival of the couple’s first child which focused the mind on a need to provide! Drawing on Denver’s family history in the flooring trade spanning three generations, the company quickly grew to employing a small number of staff & vehicles, so that within the first 2 years of trading, premises were obtained on Tonge Moor Rd in Bolton, featuring a showroom, small warehouse & office. 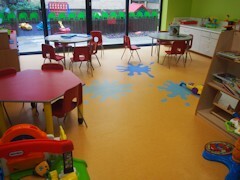 Finding there was a gap in the market for a specialist company who could skilfully supply & install the increasingly popular luxury vinyl tiles such as Amtico & Karndean into private homes, the company thrived, all the time concentrating on quality & reliability, a watchword that is sometimes neglected by the building trade. Although at this time the company offered a full spectrum of flooring types including safety flooring, vinyl, carpet, timber, into all different sectors including Housing, Education, Health & Commercial, it was this kind of installation that the company’s reputation was built upon. 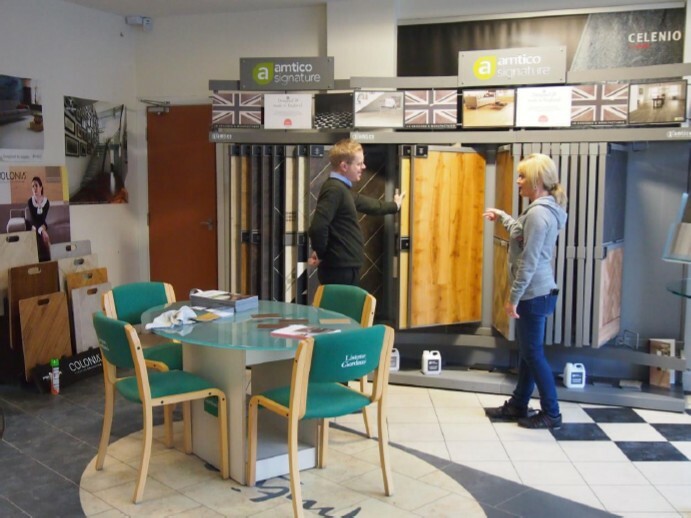 It was not long before the further expansion ensued, opening showrooms in Warrington & Altrincham & forging partnerships with renowned suppliers such as Amtico, Karndean, Polyflor, Kahrs, Forbo & Ted Todd. By the millennium the company employed over 15 staff & began to look toward the commercial business sector to further expand, this required greater volume in both personnel & stock meaning larger premises were required , the Company moved to its current location in Horwich in the spring of 2005. 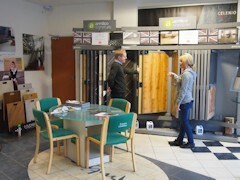 From these premises the company can offer an 1800 sq ft showroom with better operational facilities, close to the M61 & the popular Middlebrook retail park, with over 100 different flooring samples on show, allowing the company to expand its portfolio of suppliers, ultimately giving our clients a greater choice of products. In recent years an emphasise to increase the company’s placement in the Health Service sector has seen all the values previously used in the private sector prove popular, working to tight schedules, with the need to get things right 1st time the company has seen a substantial increase in turnover during the toughest trading period. In 2010 the company was awarded “Investors in People” the values instilled from the Directors throughout the company, of trust, reliability, quality & respect, for our staff, clients & suppliers, together with a concentration on Safe working practises in a hardworking culture, appear to be a firm foundation for the future.